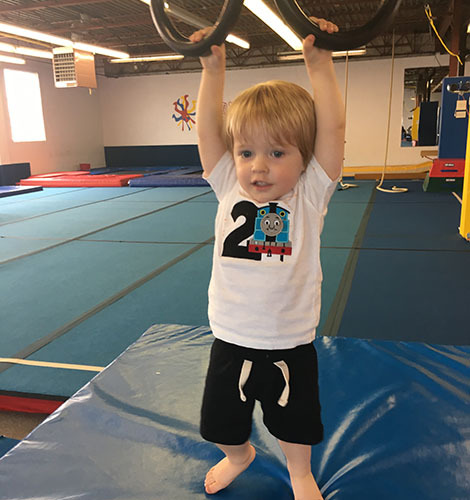 We are offering a full year of gymnastics and fun! Your child's first gym class! 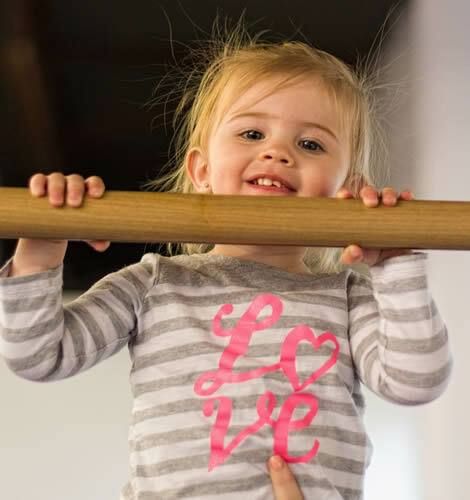 This class is for our youngest gymnasts with their parent/caregiver. It focuses on both sensory and gross motor development, coordination, balance, strength, flexibility, social skills, and fun!! 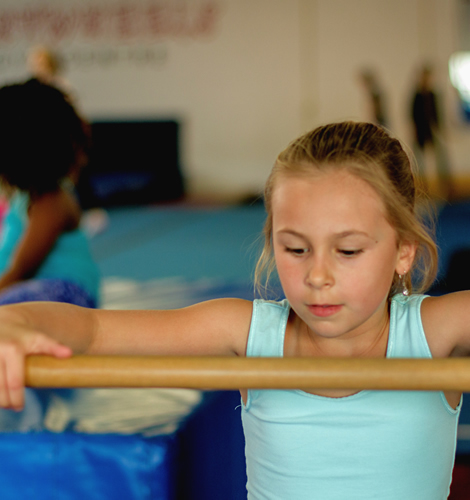 A class for those young gymnasts who demonstrate that they are ready to participate on their own. Participants must be invited to register. Fun-filled class full of energy introducing the sport of gymnastics for those that have participated in our Tiny Gym program. This program focuses on sensory and gross motor development, coordination, balance, strength, flexibility and social skills. Gymnasts will work their way through a 4 level development system. 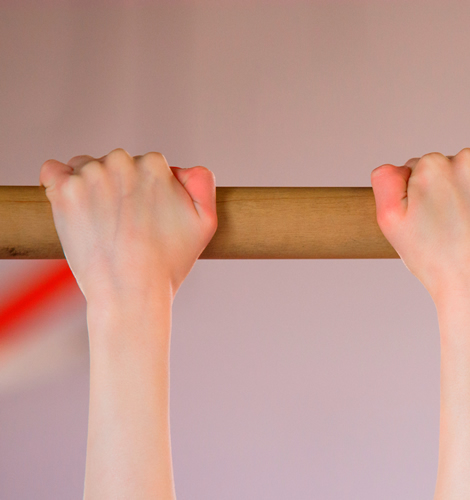 Gymnasts must be fully toilet trained, no pull-ups, and ready to participate without a parent. Preschool & Kindergarten readiness program NEW at Cartwheels. 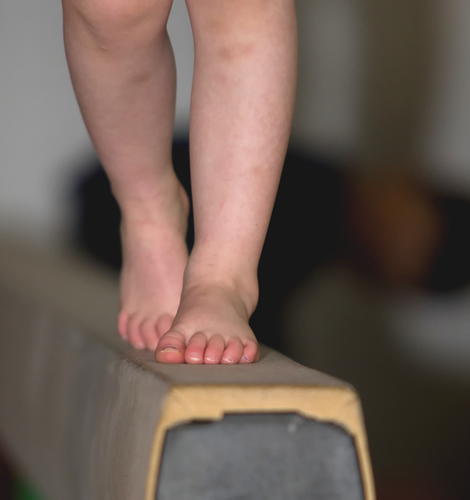 Our Tumble & Learn program will focus on gross and fine motor development; sensory skills; strength; coordination; balance; flexibility; independence and social skills. 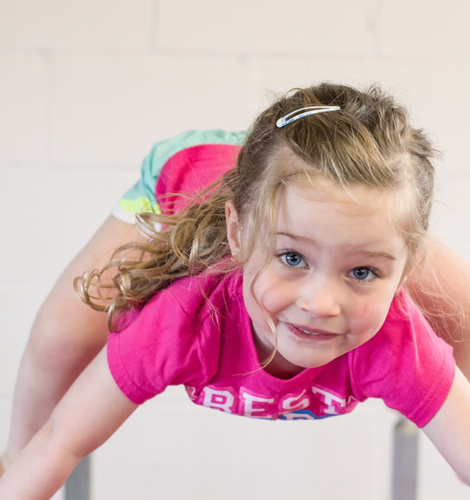 This two-hour drop off program will include 45 minutes of structured gymnastics, a group game, learning activity craft, and a healthy snack break. A fast paced class geared to channel this age group's energy in a positive direction. 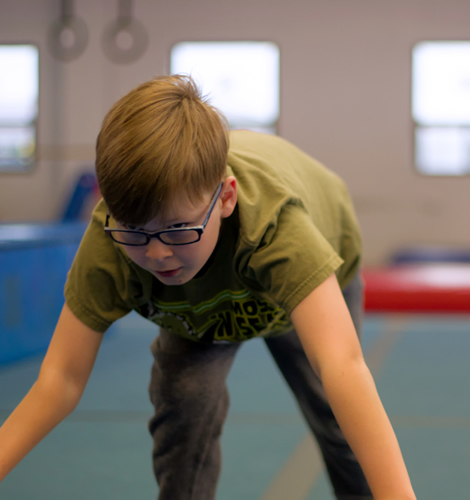 This class provides opportunities to build social skills, self-confidence, and develop physical and motor attributes including: flexibility, strength, power, and endurance as well as balance and spatial orientation. All this in a gymnastics setting! 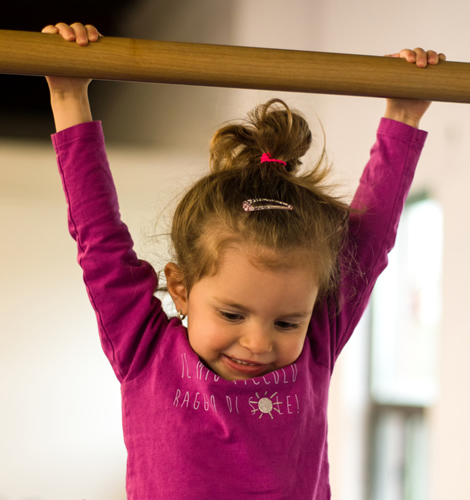 An invitation only advanced class for those participants who need to be challenged at a higher level and have previously participated in our Kindergym program. This class will focus on strength and flexibility as well as more advanced skills. 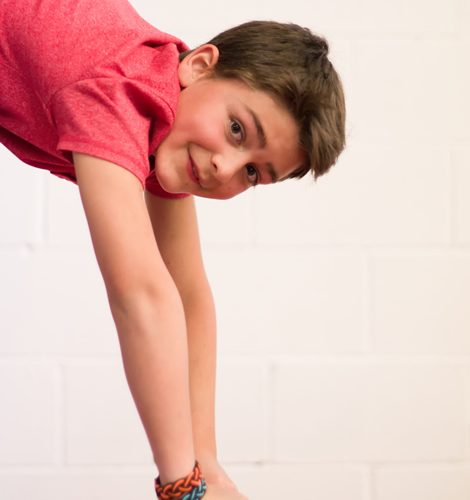 A one hour program targeting those boys wanting to focus on strength training, conditioning and developing gymnastics skills. 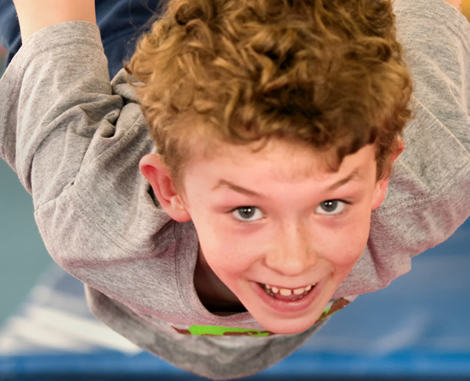 This recreational program is for girls and boys wanting to experience the fun and thrill of gymnastics! The program promotes physical fitness and allows children to achieve new skills by focusing on their strengths and encouraging development of their weaker areas. Both the girls and boys work on an achievement program consisting of a system of progressive levels that each child works on at their own pace. An invitation-only advanced class for those girls who need to be challenged at a higher level and can handle being taught at a faster rate than the regular programs. The class will focus on strength and flexibility training as well as more advanced skills. 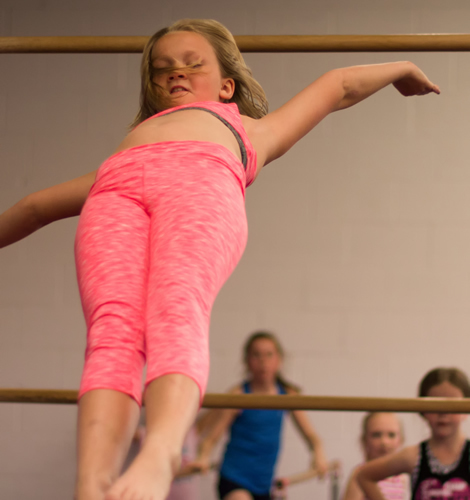 This recreational program is open to gymnasts who are turning 8 or older. 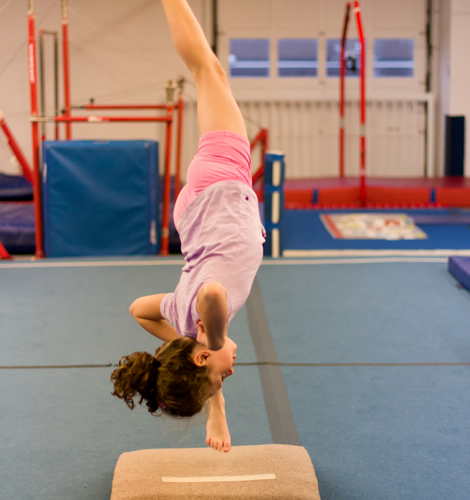 Experience the fun and thrill of gymnastics! The program promotes physical fitness and allows children to achieve new skills by focusing on their strengths and encouraging development of their weaker areas. Both the girls and boys work on an achievement program consisting of a system of progressive levels that each child works on at their own pace. 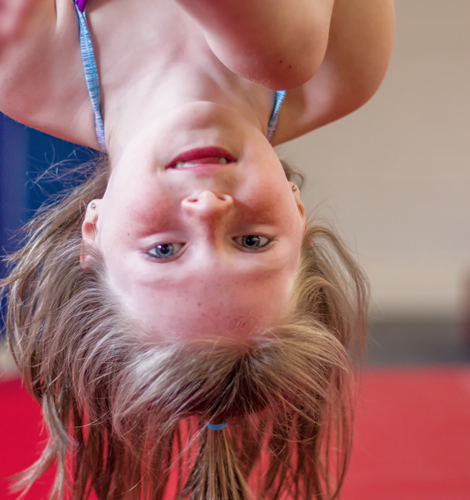 A recreational program for girls and boys aged 10 or older wanting to experience gymnastics. They will work on programming consisting of a system of progressive levels that each child works on at their own pace. A great way for our past and present Sr Plus girls to condition, practice their favourite apparatus, learn new skills, and continue their love of Cartwheels! It will be supervised and moderately coached. 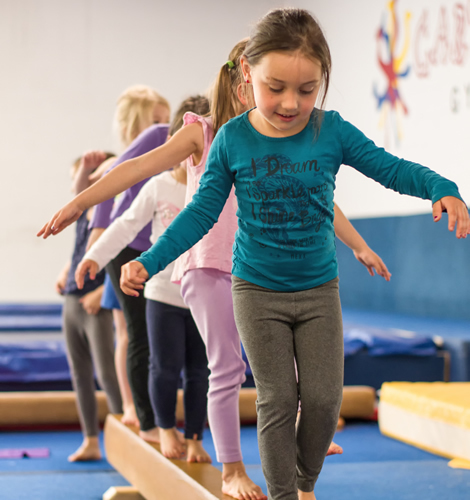 Participants can use the floor to exercise, tumble, and work on skills with trampoline, bars and balance beam also being included. Our popular Tumbling program is returning. This program will focus on leaps, walkovers, handstand variations, aerials, handsprings and more! Tumbling is open to competitive dancers and gymnasts that meet the skill requirements of the program. Must have requirements: cartwheels, handstand hold, back walkover, and hurdle roundoff. 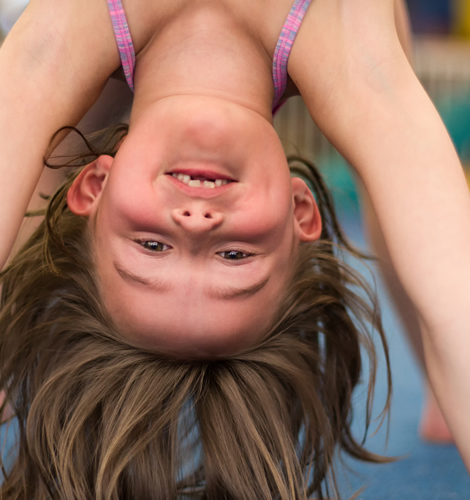 Cartwheels is please to offer integrated, private, semi-private or group lessons for children with special needs. We will work with you to explore what option may be most suitable for your child. Please contact the office to discuss how we can accommodate your child.